Amidst mounting geopolitical tensions, Iranian officials said Wednesday they were increasingly concerned about the United States of America's uranium-enrichment program, fearing the Western nation may soon be capable of producing its 8,500th nuclear weapon. 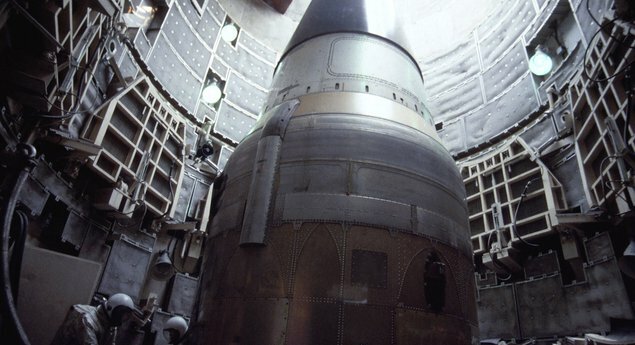 "Our intelligence estimates indicate that, if it is allowed to progress with its aggressive nuclear program, the United States may soon possess its 8,500th atomic weapon capable of reaching Iran," said Iranian foreign minister Ali Akbar Salehi, adding that Americans have the fuel, the facilities, and "everything they need" to manufacture even more weapons-grade fissile material. "Obviously, the prospect of this happening is very distressing to Iran and all countries like Iran. After all, the United States is a volatile nation that's proven it needs little provocation to attack anyone anywhere in the world whom it perceives to be a threat." Iranian intelligence experts also warned of the very real, and very frightening, possibility of the U.S. providing weapons and resources to a rogue third-party state such as Israel. As usual, The Onion continues to be more relevant than the mainstream news media.